Since beginning its efforts in May to aid victims of the recent Kaua‘i floods and the ongoing Hawai‘i Island volcanic activity, Catholic Charities Hawai‘i has received a $200,000 grant from the Office of Hawaiian Affairs to assist the victims of the flood disaster on Kaua‘i and grants of $252,000 from Hawai‘i Community Foundation and $120,000 from Catholic Charities USA to assist Kaua’i and Hawai’i Island. CCH has also received an outpouring of generous donations from the general public. “So far, the funds have provided assistance to over 600 adults and children affected by the natural disasters on Kaua‘i and Hawai‘i Island,” said CCH President and CEO Terry Walsh. On Kaua‘i, donations and related funding assist flood victims with temporary supplemental housing subsidies and support while their current homes are being repaired. 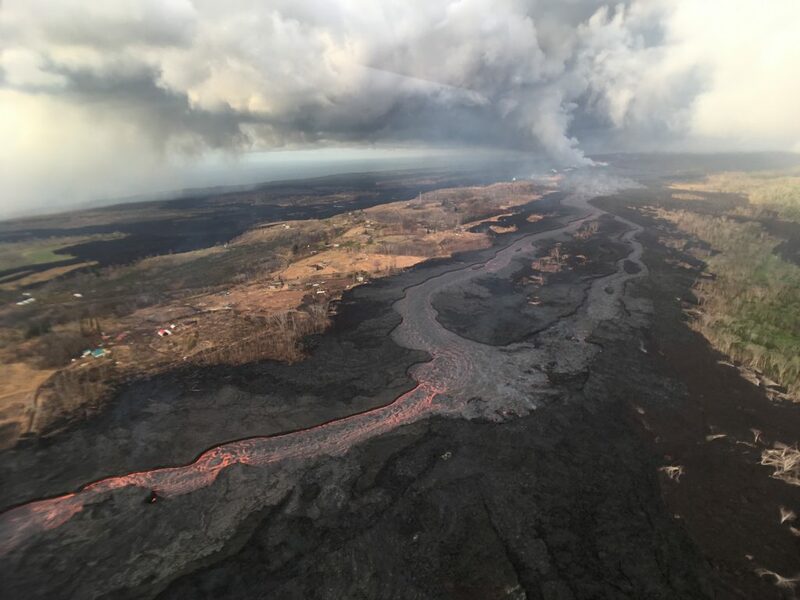 On Hawai‘i Island, funds assist Puna residents who evacuated their homes due to the ongoing volcanic activity. Funding support includes emergency home repairs and other related needs. Other usage of the disaster emergency funds include stipends for food, clothing, supplies such as tents and beds, and bus tickets and gas to commute to work, medical treatments and other errands. On a daily basis, the stream of requests are numerous and the organization’s dedicated staff are there to listen and help individuals and families seeking assistance. Affected residents seeking assistance can contact Catholic Charities’ Hilo office at (808) 961-7050 or Kaua‘i office at (808) 241-4673. Those wishing to make a donation to the relief efforts on Kaua‘i or Hawai‘i Island can visit Catholic Charities Hawaiʻi online or call (808) 527-4820.